Together with the eThekwini Municipality, the German volunteer service Weltwärts enables young Germans to have a one year professional and intercultural experience in Durban. The BAT Center has been successfully part of the programme since 2013. The Programme was founded in 2008 by the German Federal Ministry for Economic Cooperation and Development (BMZ). The volunteers are integrated in the partner organization, support the employees in their work and gradually assume their own responsibilities. 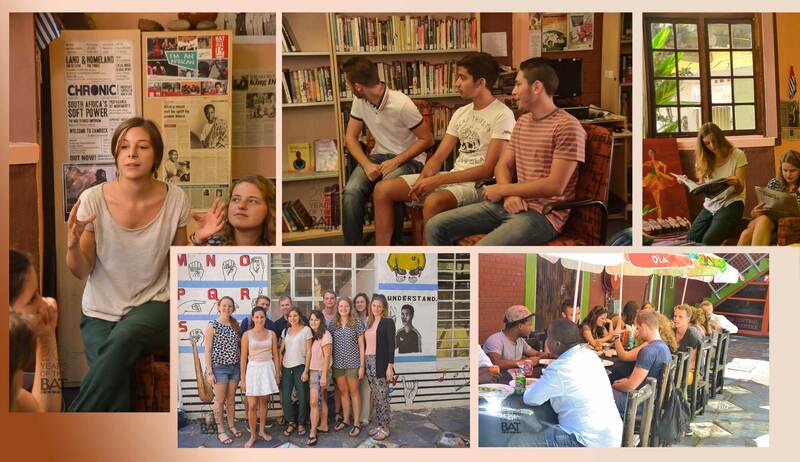 The volunteers gain experience abroad and acquire knowledge of the language and personal competencies. After their service, the returning volunteers continue to dedicate themselves to development work in their homelands. As a result, they bring their experiences back to society and make a personal contribution to a fairer world through their assignment abroad. Since 2013 volunteers from developing and emerging countries have also been able to take part in development volunteer service in Germany. -Get individuals involved in partnership programmes. -Strengthen global learning and intercultural understanding. -Generate added values for partner projects. The assignment places are preferably for students or young professionals of social sciences, environmental engineering, technical or other professional backgrounds, IT-specialists or sports managers, and last in general 12 months in the host countries. The volunteers contribute with their professional skills and their enthusiasm by assisting the partner organisations in their daily work and in special projects.